Are you in the “Game of Business”? You might have already come by numerous posts, fan theories and spoilers on Game of Thrones. For the series’s fans out of there, it is obvious for your social account feeds to be flooded with posts, memes, articles on the show. Unlike other series where the most honorable and noble leading figure tends to win, GoT has a much more realistic approach to determining the victor in a scenario. The reasons why this show has become so popular is because of various strategic approach by each character. Below I have tried to break down the strategies and how they can be applied in modern business. Let your competitors destroy themselves. Letting your “combatants” fight each other through marketing campaigns gives you a chance to build up your own storehouse, and attract more customers. As Tyrion Lannister-The dwarf-prince says,”your enemies hate each other as much as they hate you. Everybody gets knocked down but it’s how each of us react to that failure or blow that determines the outcome, Like Three-eyed raven and Arya. Fall down. Get back up. This is the only way to make it in the business world. Knowing who to trust is critical, especially when a company first launches. Eddard Stark chooses to trust Littlefinger and gets his head chopped off for his efforts. If he had trusted Renly instead, things would have turned out differently. Sound a little dramatic? Sure–but a good lesson for anyone trying to build a company. Petyr Baelish – One of the most cunning characters of GOT, keeps most of his wishes to himself. However, with this rare advice, we see real motivation of his character. When there is chaos, he is always looking for how he can advance himself. Which character in Game of Thrones would make the best sales person in your opinion? Add it into the comments box below and let’s see who would be King or Queen in the Game of Business! Movies are not only meant to be a source of entertainment. Few movies leave an impact over the course of your life. Over the years I have watched a lot of Transformers movies and they have taught some valuable leadership skills from doing so. While it sounds a little strange Optimus really was the first leader I studied under. 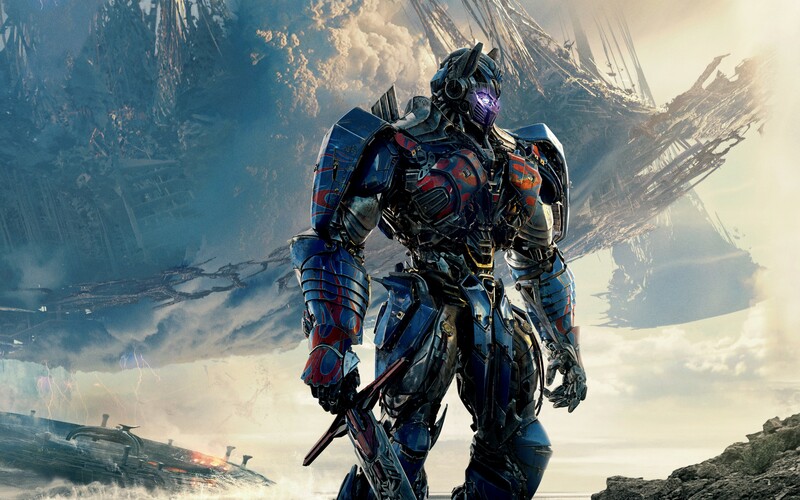 Here are 5 leadership lessons I have learned from Optimus Prime. Optimus have been honoured as ‘Prime’ but he did not start that way. His original name was Orion Pax. Orion has been described as a; librarian, warehouse worker, data clerk, and dock worker. His previous job has changed the story of a well spoken, humble and wise person rising to power never has. Very few of us are born into leadership, keeping humility parallel. Remembering where you come from will help to keep us grounded no matter how high we rise. “Optimus Prime is constantly trying to make sure his followers are OK, and that human beings aren’t harmed in the fights between robots,” Spain notes. This taught me – compassion and integrity are vital traits of a leader. Optimus Prime knows that he can not directly handle every key project in his group and as such, he knows he must delegate some things to his team members. He gives the authority and the power to accomplish a given task and trust them to know what they need to do and how it must be done. The micromanagement is highly avoided here for betterment of the team members. He doesn’t baby sit them. One of the makes Optimus Prime stand out from his peers, is his commitment to his values. Optimus uses his values to guide his decision making. Moreover, he stands by that decision. As a leader, people need to know what your ethics are and the manner with which you plan to follow them. There talent of the Autobot team is abundant and Optimus Prime has the ability to see each team member’s strength and talent. He has the knack to collaborate with the strength and talent of each team member. From the weapon expertise of Ironhide or the healing skills of Ratchet, Optimus Prime uses those benefit the team. Optimus Prime employs each of those skills to get the most productivity as efficiently as possible. The Lesson Here: You have to know how to identify each team member’s talent and learn how to capitalize on those. You should bring out the best in each member, and find a way to use the strength each member has to offer. Optimus has many formal and informal advisors. Some were soldiers like Ironhide and Ultra Magnus, some were scientists like Perceptor and Ratchet, and some were human like Spike and Sparkplug. Whenever decisions had to be made Optimus collected the viewpoints of a diverse group of trusted advisors. I know I make better decisions when I check with a number of people who see the issue at hand differently.